François Quesnay was a renowned economist hailing from France. He is recognized for founding the doctrines on which the Physiocrat school of thought, widely believed to be the first of its kind in the field of political economy, is based. It supported the notion that the economy’s power stemmed from the agricultural sector. Quesnay was born on 4th June 1694 at Mere, France. He moved to Paris at the tender age of sixteen where he pursued medicine, and quickly established himself as a master surgeon capable of practice. After practicing in Mantes, he was made surgeon in ordinary to the king in 1737. Quesnay furthered his credentials in the years that followed as he soon graduated as a doctor of medicine in 1744. In light of this accomplishment, he was made physician in ordinary to the king, the king’s first consulting physician, and was inducted in the Palace of Versailles. During his time at the Palace however, he had a change of heart and decided to dedicate himself to economics. Together with his contemporaries Louis XV and Jean C. M. V. de Gournay, he gave birth to the Physiocratic school of economic thought. 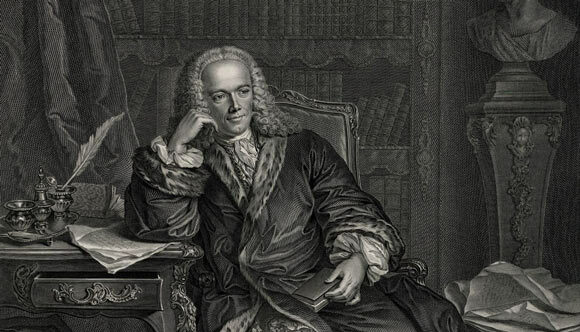 For all his intellectual prowess, Quesnay did not publish any of his works until he reached his sixties when some of his contributions manifested in the form of encyclopedia articles in 1756 and 1757. In 1758, he published the”Tableau économique” (Economic Table), which provided an analytical view of the dynamics of the economy and formed the basis of Physiocratic ideas. The table delved into factors which stimulated or caused economic growth by noting the actual production and spending figures of various areas. Quesnay was of the opinion that of all economic sectors, agriculture was the only one capable of producing a surplus which could be utilized in the forthcoming years, as opposed to manufacturing and industry, and thus drove growth. The concept of equilibrium originated as a result of his analysis. François Quesnay believed that the government’s protection of local industry was the root cause behind the poverty that categorized France, a practice he referred to as Mercantilism. He argued that as a consequence of this practice, farmers had to pay higher prices to local manufacturers in order to avail machinery. Moreover, the government had also sold the right to tax farmers to the more elite citizens, who had then exploited this authoritative power. He advocated the reduction of taxes and liberalization of trade policies, along with the abandonment of other regulations, in order to breathe new life into the economy and provide it with the foundation to be at par with that of the much wealthier Britian. Quesnay thus gave birth to the laissez-faire approach, which he wanted King Loius XV to adopt. Quesnay was a proponent of free competition and markets in order to protect and offer quality of class interests. His work provided much inspiration to classical economists, who built on his ideas of free trade and the prominence of the agricultural sector. World famous economist, Adam Smith, who had the honor of meeting Quesnay on one his quests, praised Quesnay’s ideas in his book, Wealth of Nations. Quesnay’s other works contained his perspective on Chinese politics and society, including the imperial structure which prevailed in the country. In his book Le Despotisme de la Chine, which he wrote in 1767, Quesnay expressed his support of Oriental despotism. François Quesnay was also part of France’s first Legislative Assembly. He died on 16th December, 1774.